The Volvo Ocean Race has used the first of seven Ocean Summits it is hosting around the world in 2017-18 to launch a unique programme that will gather data from parts of the oceans that are otherwise inaccessible to scientists – while the Spanish government pledged its backing for UN Environment’s Clean Seas campaign. Wednesday’s Ocean Summit in Alicante – held four days before the start of the 2017-18 edition of sailing’s 45-year-old race around the world – brought together politicians, scientists, business and sport to tackle the problem of ocean health, with a specific focus on plastic pollution. As the world’s 14th largest economy, Spain’s declaration of support is a significant boost to the UN’s global campaign, which now boasts 32 member states and aims to ‚turn the tide on plastic‘ by inspiring action from governments, businesses and individuals. Mayor of Alicante Gabriel Echávarri promised that there would be no plastic bottles at any event he attends in an official capacity. He also announced an education campaign on plastic in all schools in the city. Wendy Schmidt, President of The Schmidt Family Foundation and Co-founder of 11th Hour Racing, told the Ocean Summit that the oceans were ‘under attack’. 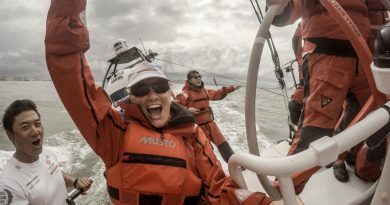 “11th Hour Racing has been working since 2011 to engage sailors and the maritime industries to become advocates for a healthy ocean and we’ve seen a lot of conferences where people tell each other what they already know,” said Schmidt. 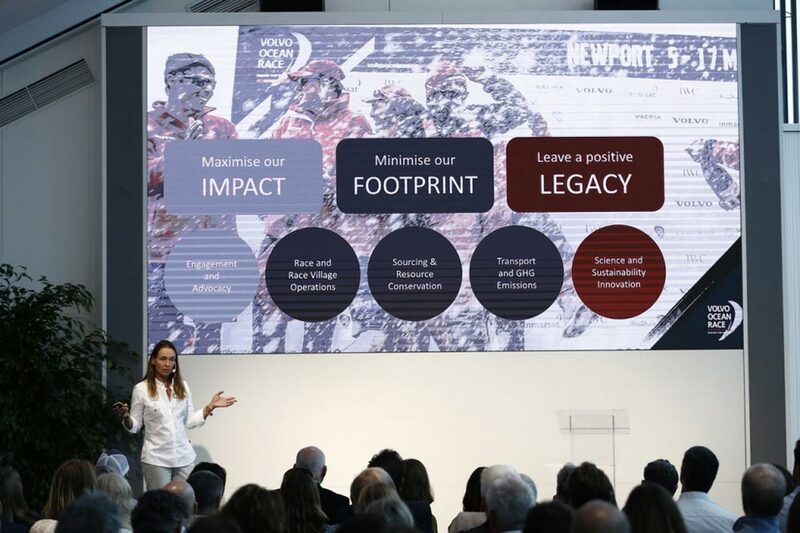 “What was special about this Volvo Ocean Race Ocean Summit is that this was a conference full of very creative thinkers. We’re all looking for answers. There are large companies here, small start-ups, NGOs and philanthropists, and everybody is trying to explore how to intervene with an innovative approach. The Science Programme is key to that goal of creating action to tackle plastic pollution, based on accurate data. The Programme – made possible thanks to the support of Volvo Cars, and a consortium including NOAA (National Oceanic and Atmospheric Administration), JCOMMOPS (UNESCO-IOC), GEOMAR and SubCtech – is comprised of three elements. 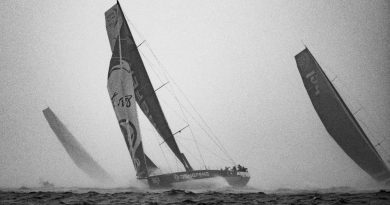 All of the racing yachts in the 2017-18 edition will send data back from the oceans every 10 seconds – recording temperature, barometric pressure, wind speed and direction. This data will be passed on to NOAA and the European Centre for Medium Range Weather Forecasts. It will contribute to more accurate weather forecasts and climate models. Secondly, during the four most isolated legs in the race, all seven yachts will carry drifter buoys equipped with satellite communications to transmit information on ocean composition and currents. Thirdly, the Turn the Tide on Plastic team skippered by British yachtswoman Dee Caffari will carry instruments onboard to test salinity, dissolved CO2 and Chlorophyll-a (algae), and for the first time ever, microplastics, directly in the sea water around them. These key metrics for ocean health will be logged in order to create a complete snapshot of parts of the world’s oceans scientists rarely, if ever, get to study. 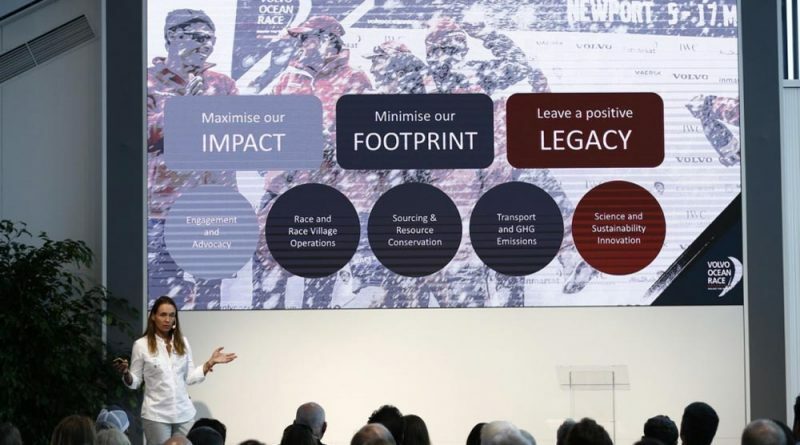 “Volvo Cars is proud to support the Volvo Ocean Race Science Programme and help improve our understanding of the health of the oceans,” said Niklas Kilberg, Volvo Cars’ Senior Manager for Sustainability. “This innovative project means that the boats are not just sailing in a top-level sporting competition, but they’re also undertaking scientific research. The next Ocean Summit is scheduled for 7 December at Cape Town.